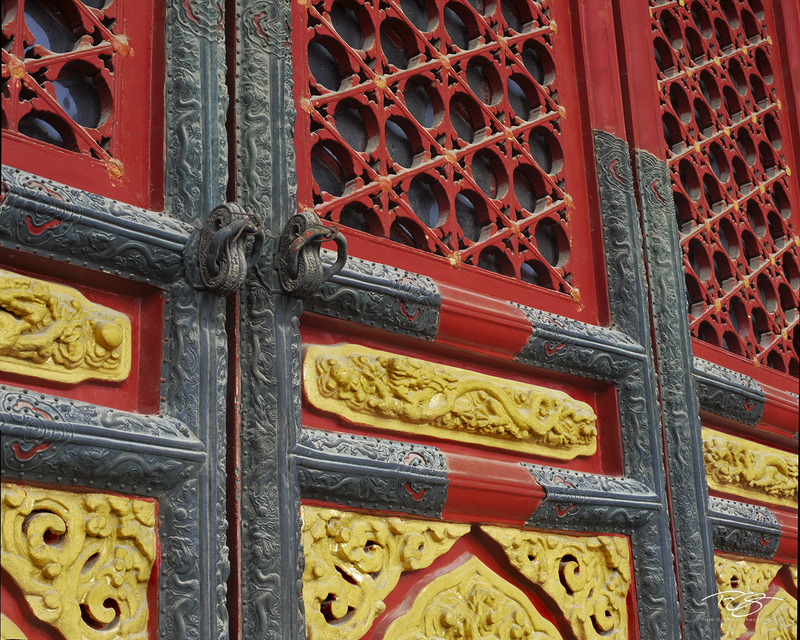 These spectacularly detailed doors lead in to China's Forbidden City. The Forbidden City is the palatial heart of China. Constructed in 1420, during the early Ming Dynasty, it is China's best-preserved imperial palace, and the largest ancient palatial structure in the world. Considered a divine palace, mere commoners were forbidden to enter, and if anyone wished to leave the palace, they must sought permission from the Emperor.